Topics: Services, Website Design And Development, Branding, Success, Web Design And Development, and Cms Website. On average 2.40 pages are viewed each, by the estimated 84 daily visitors. It is hosted by Theplanet.com Internet Services Inc (Texas, Houston,) using Apache web server. 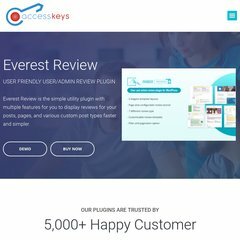 Access-keys.com's IP address is 174.120.150.254. There are 2 Nameservers, ns2071.hostgator.com, and ns2072.hostgator.com. PING (174.120.150.254) 56(84) bytes of data. A time of 38.2 ms is recorded in a ping test, also its average full page load time is 657 milliseconds. This is slower than 86% of measured websites.